St. Louis‘ NFL franchise, the Rams, left Los Angeles in 1994. Twenty years later they’re mulling a move back, but not without a fight from the residents of their new Midwestern home. 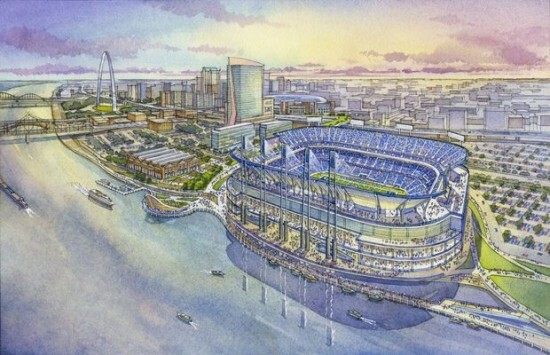 Last week plans for a new arena on the banks of the Mississippi River upped the ante, promising Rams fans 64,000 seats and an open-air stadium designed by HOK and 360 Architecture that a city-appointed task force called “the crown jewel of the reinvention of St. Louis’ city center”. 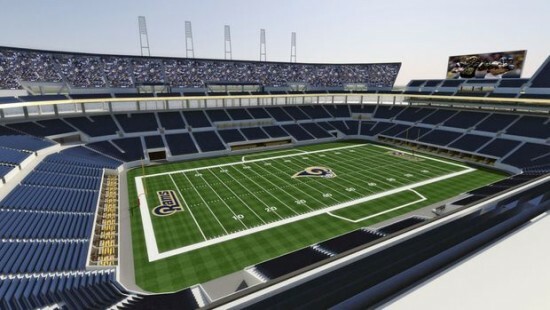 L.A., where the Rams were founded and played for nearly 50 years, offers an 80,000-seat stadium designed by HKS. 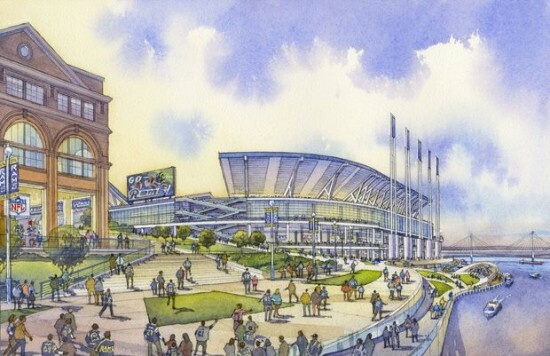 The Associated Press said last week that billionaire Rams owner Stan Kroenke wasn’t returning calls from St. Louis city officials. In November Missouri Gov. 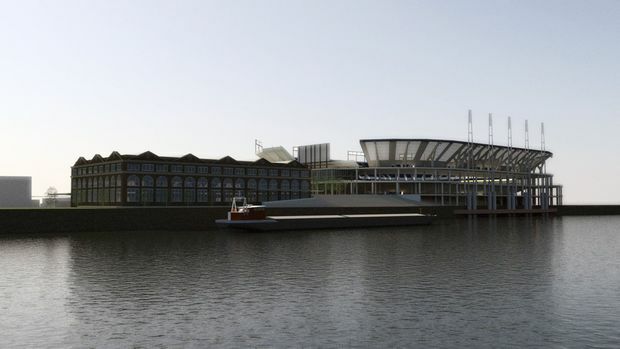 Jay Nixon appointed Former Anheuser-Busch President Dave Peacock and Attorney Bob Blitz to lead a task force on the new stadium proposed for the North Riverfront area of downtown. Their plan, released Friday, said “the new stadium will impose no new tax burden on taxpayers in the local region or the State of Missouri”. It proposes bridging I-44 to link the Edward Jones Dome with St. Louis’ Great Rivers Greenway network and the CityArchRiver grounds, where the city’s iconic Gateway Arch and Museum of Western Expansion are undergoing a massive renovation and expansion. 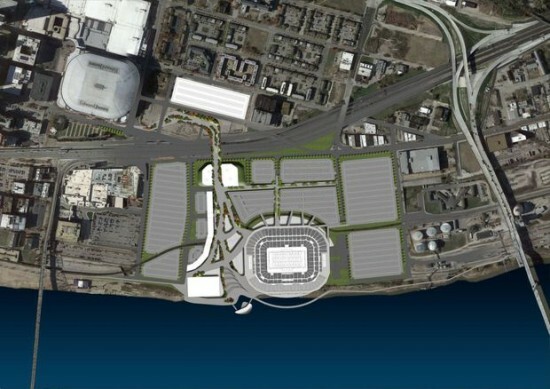 If approved, the stadium, which would also play host to Major League Soccer games, would start construction in 2016 and be ready for games in 2020. That is, if St. Louis still has a team; The National Football League has said no team relocations will happen this year.